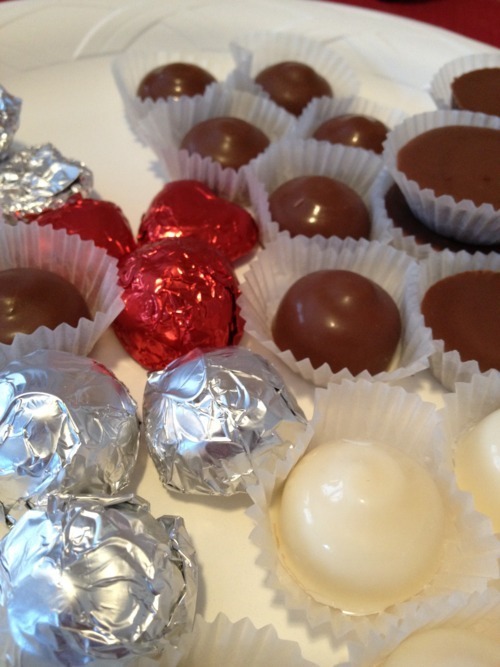 Growing up my mother always made chocolate as gifts and to bring to every holiday party. Family friends (and my teachers) looked forward to her treats every year. She’s scaled back her production through the years, and this year I decided to pick up the slack and venture into chocolate making on my own. Using my mom’s filling recipes and molds she sent me as a gift, I had a wonderful time making classics and creating new, Kreative treats! I have created a candy masterpiece! In making candy this year for holiday gifts, I accidentally made twice the amount of peanut butter filling than I needed. Not wanting to make a million peanut butter cups, I had to get creative. 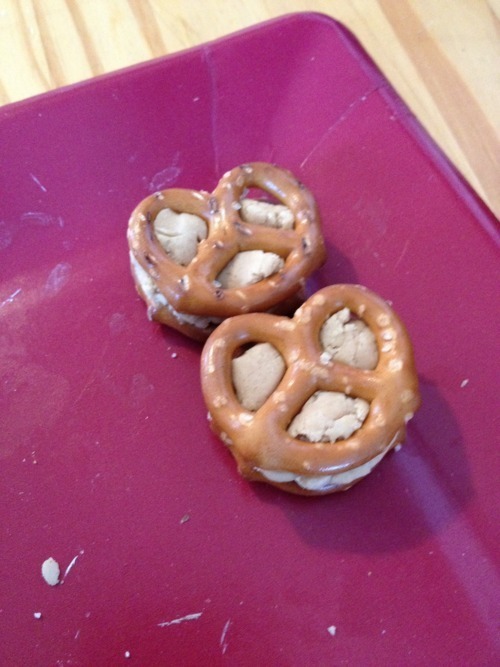 I made medium sized balls of peanut butter filling and sandwiched them between two pretzels. Net I dipped them in milk chocolate and placed them on a tray to set in the freezer. These made a perfect addition to my more “traditional” candies. Use GOOD chocolate. No offense to Wilton, I use their molds, boxes, foil wraps, colorings and more, but their melting chocolate is a little waxy, doesn’t melt as silky, and lacks the rich, creamy factor that higher end chocolates yield. 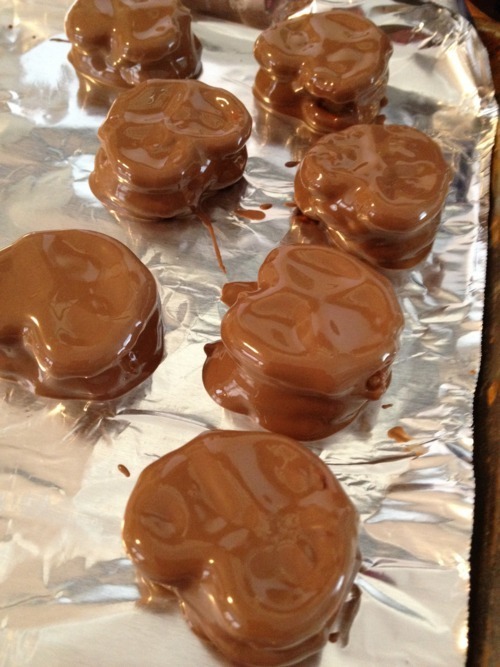 I use Merckens candy melts (the link takes you to a bar, but I use the buttons.) You can usually find Merckens at baking supply stores, but if you don’t have a local vendor, online ordering is great! If you don’t want to pay for shipping or don’t have time, Ghirardelli sells melting chocolate at most grocery stores. Be careful when melting the chocolate. Melt slowly and flavor only with oil based flavoring and frosting colorings. Water is chocolate’s Kryptonite. Get creative! This year I added some lime juice to my coconut filling for a tropical treat wrapped in white chocolate. Have fun! Don’t stress over a little filling blowout, just add it to the “family” pile and keep going. I find I have to “mess up” a few in each batch so my lovely boyfriend has something to snack on without dipping into the boxes I’ve already put together. Happy chocolate and candy making!